Image via enviropoliticsblog.blogspot.comStop by LOVE Park this afternoon to stand up for the environment. Today at 4:30 p.m. Food & Water Watch, Protecting Our Waters, Delaware Riverkeeper Network and other groups will be speaking out against Act 13—the pro-Marcellus Shale gas drilling law passed by Governor Tom Corbett last February. Act 13 takes away municipal zoning authority as related to the drilling and includes a gag order requiring physicians to not disclose proprietary fracking chemicals except for medical treatment of an individual. Read here for more on Act 13. 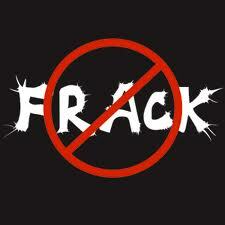 To learn more about fracking, you can check out our previous blog post on the topic. LOVE Park, 1599 John F. Kennedy Blvd.